Want to satisfy your dairy free sweet and savoury tooth? You are in the right section. Yes, you will find a host of recipes here baked to perfection. Whole Wheat Bread to No Bake Oats and Multigrain Healthy Cracker to Almond Berry and Coconut Cake is what this section has for those looking for dairy free choices. These are apt for those lactose intolerant people who cannot digest ‘lactose’ – the sugar present in milk due to lack of ‘lactase’ - an enzyme present in body necessary to breakdown lactose. As you flip through these recipes you will realize that with the combination of correct ingredients you can achieve your nutritional goals in a tasty way. 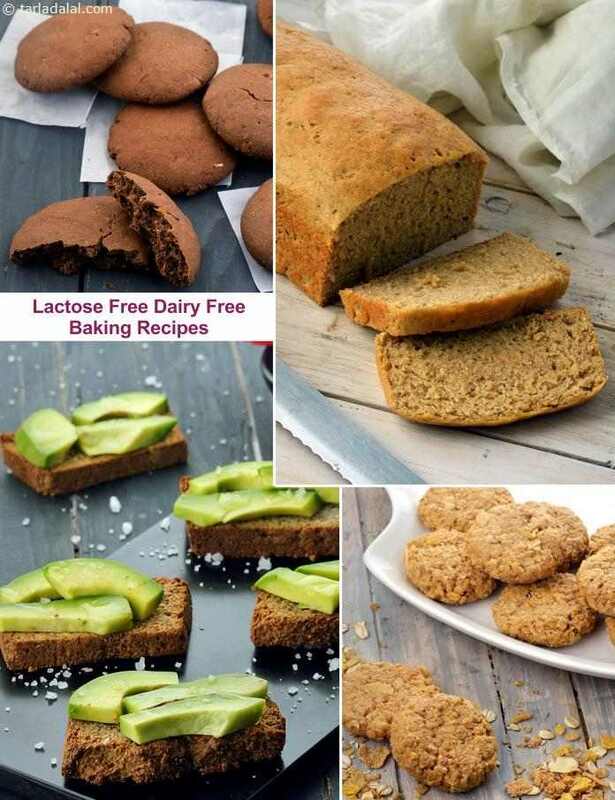 We recommend you spend some time on researching the lactose free baked recipes shared here and make them a part of your menu rather than the store-bought options. This will help you eliminate all the possibilities of adding a dairy product to your meals and thus avoid any allergic reactions.